Pat Healey’s passion for boatbuilding is inherited. His love of fishing runs deeper. It was the second day of the Stone Harbor Yacht Club White Marlin Invitational, and I was with Pat Healey aboard a Viking 72C, fresh out of the company’s facility on the Bass River in New Gretna, New Jersey. The morning began with a 120-mile run to Tom’s Canyon from Cape May Inlet, with Capt. Ryan Higgins at the helm while the rest of us slept in air-conditioned comfort. 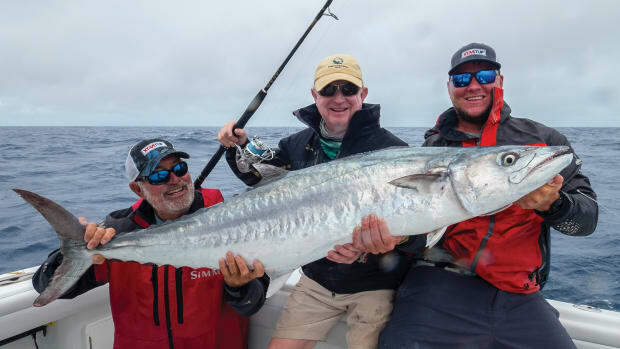 Most of the action took place midmorning, when the team hooked and released a white marlin followed by a wild blue that the older of Healey’s two sons subdued. A couple more whites, and the action died. 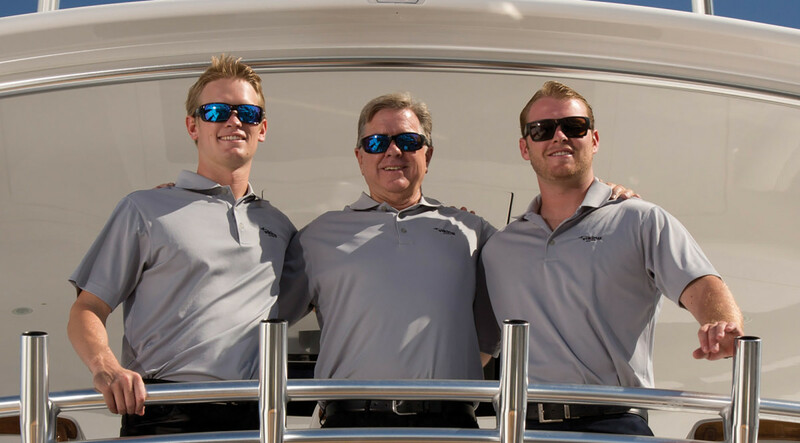 Since he was a boy, fishing has been a driving force in the life of Pat Healey, the head of Viking Yachts. At lines out, we were 115 miles from the inlet. The cockpit was cleaned, the tackle stowed for what might have been a long ride back if we hadn’t been aboard a boat that cruises at 40 knots. Healey took the helm, giving Higgins some bunk time. As we drew closer to the inlet, a new 68-foot custom Carolina boat, reputed to be the fastest in Cape May, started moving up alongside. Healey pushed the throttles up a few rpm, and our speed increased to 42 knots, but the challenger crept back alongside, threatening to pass. Healey wound up the MTU diesels a few more notches, and we shot to 45 knots as a smile overshadowed his game face. The Carolina boat started falling back, then slowly regained ground. Healey gave the 72C its head — 48 knots — as the competition fell behind for the last time. Within hours, the Viking’s undeniable performance was the talk of the docks. Healey, who is president and CEO of Viking Yachts, is a perfectionist: fiercely competitive and rightfully proud of the yachts his team turns out at a production pace. 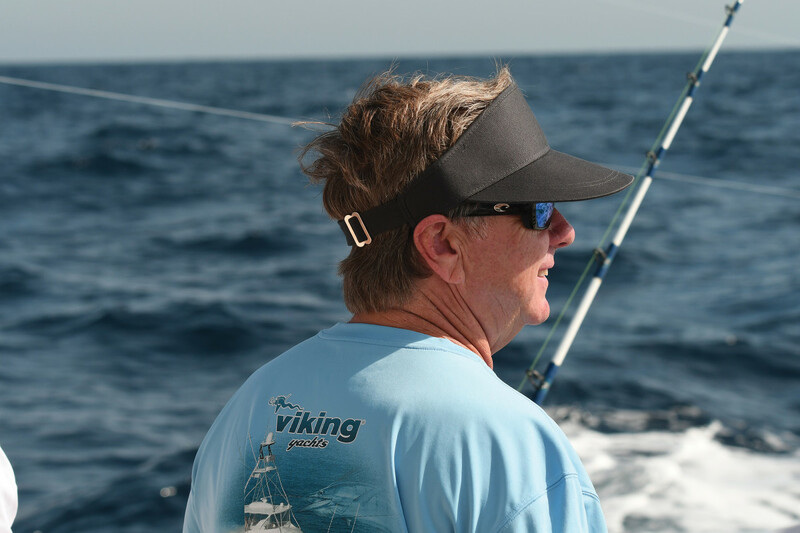 He is equally competitive when Viking’s fishing team, composed of employees, is on the billfish circuit as part of Viking’s demo-boat program. 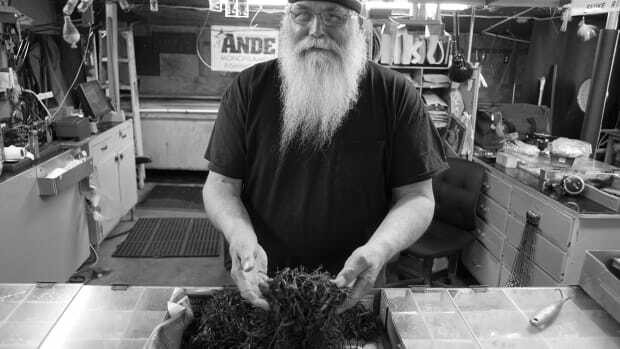 Tournaments are key to testing and refining Viking models, while expanding customer outreach, all because as a kid, Healey couldn’t get enough of fishing. His father, Bill Healey, was proud of his son but had little interest in fishing. He was a boatbuilder with a post-World War II work ethic, squeezing as many hours as possible into each of the six days a week he spent at the fledgling company he’d purchased in 1964 with his brother, Bob. The company was building wooden boats aimed at the growing cruising market, and little thought was given to shifting production to fishboats. Even so, Bill Healey encouraged his young son to pursue his newfound love of fishing. Healey’s obsession with billfish was 25 years in the making. 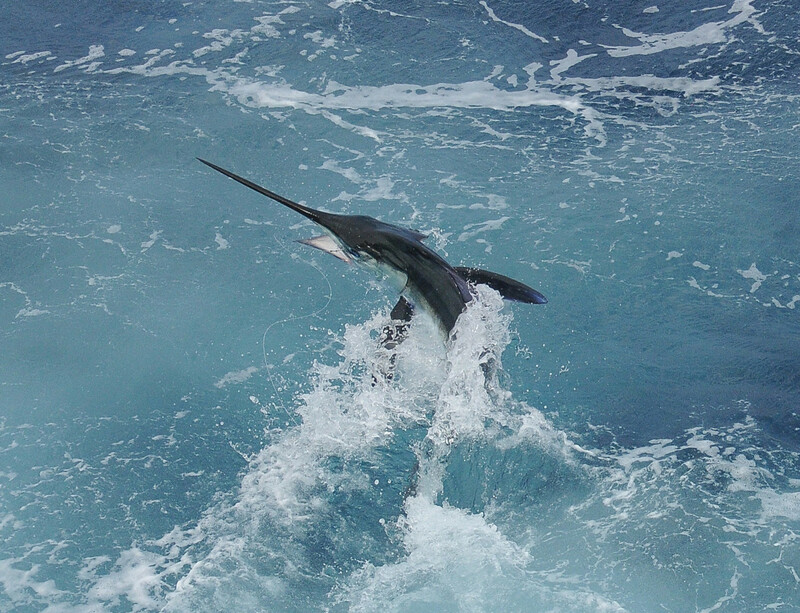 White marlin remain a favorite. After school, Healey would sweep the yard floors and putter around the shops, getting to know the shipwrights who worked for his father. Employee Roy Zeritt was among those who befriended him; today, at more than 80 years of age, he still works at Viking. “Roy and I would fish for white perch in the brackish rivers and creeks,” Healey says. “We would whack ’em pretty good.” One of those rivers is visible from the window in Healey’s office at Viking Yachts. 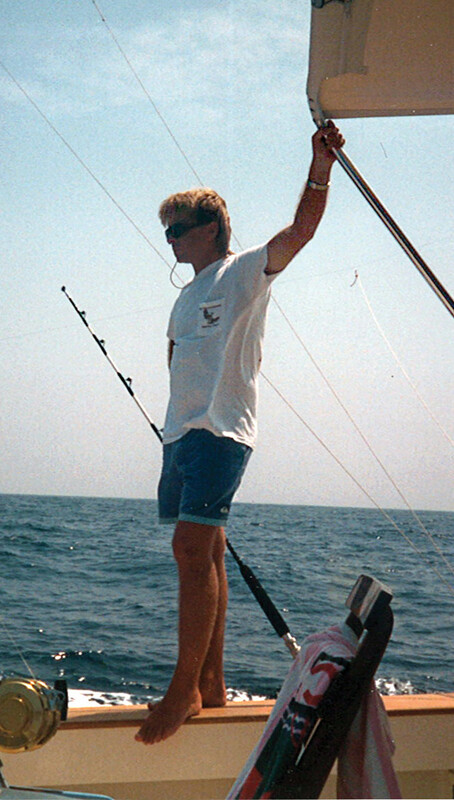 Healey’s love of offshore fishing started when he was a teenager. 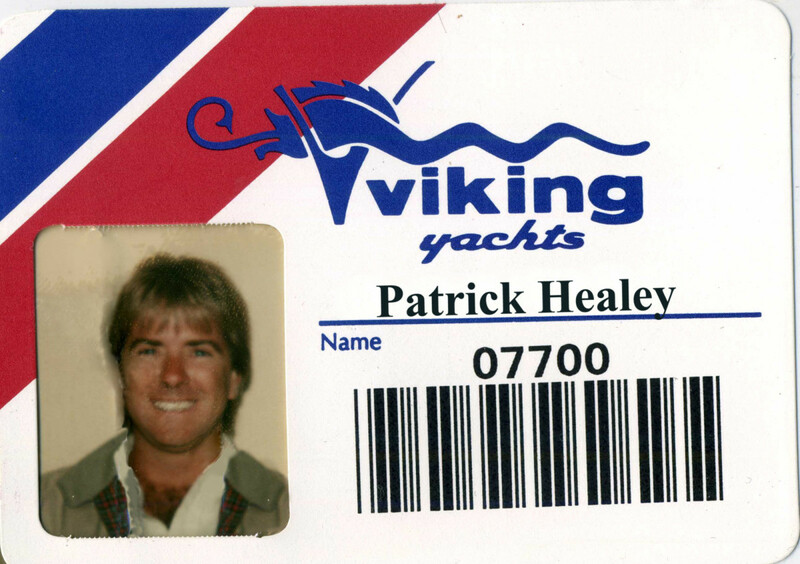 Soon, Healey and a few co-conspirators at Viking started encouraging his father to build a factory demo boat to use in tournaments. The company had dipped its toe into the fishboat market in 1972 with a 37-foot convertible offered in two configurations. One had a small cockpit and larger saloon, and the second had smaller accommodations and a larger cockpit for fishing. Viking called it the 37 Sportfish, and Healey remembers fishing a few offshore tournaments on one that Viking employee Bill Cross owned. Healey was still in high school at the time, and his earliest experiences offshore left a lasting impression. Around that time, a new 35-foot Viking fishing model caught the eye of Tom Hall, a salesman for Giles and Ransome, a distributor that supplied engines to Viking. Powered by a pair of Caterpillar 3208 diesels, the boat was fast for its time. Hall outfitted it for offshore fishing, named it Tomcat and entered a few billfish tournaments, bringing young Healey along as crew. And the hook for offshore fishing was set for life. 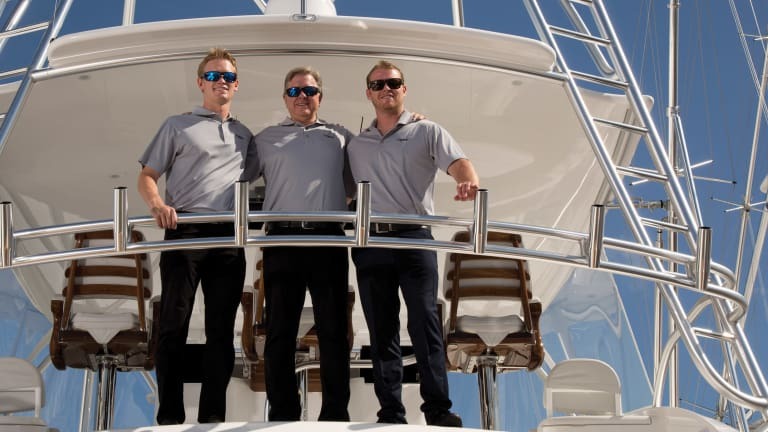 The Viking fishing team is composed of Healey and company employees, including his two sons. “Our first real demo was a 1980 41-foot flybridge dad built with a forward-angled radar arch and Bimini top,” Healey says. “We would fold down the top so we could get sun while running the boat. Back then, sun was good for you — not like today, when we’re supposed to wear sunscreen, gloves, long-sleeve shirts and buffs to protect us from it. We fished that boat in some billfish tournaments, and although we weren’t very good at it, at least we were there showing it off. 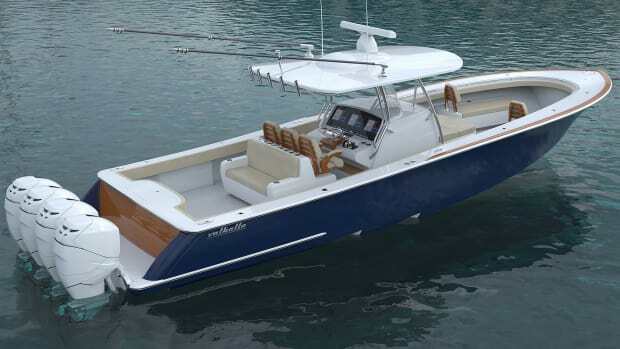 They rigged a new 48-foot convertible with tackle and electronics, and it was a fast boat. They’d make the 100-mile run from Cape May to the Washington Canyon in three hours, just to get in on a hot bite. They were becoming a team, making the mistakes required to improve and constantly getting more competitive. Along the way, Healey realized his best fit was in the cockpit turning the reel handle, as opposed to turning the steering wheel. 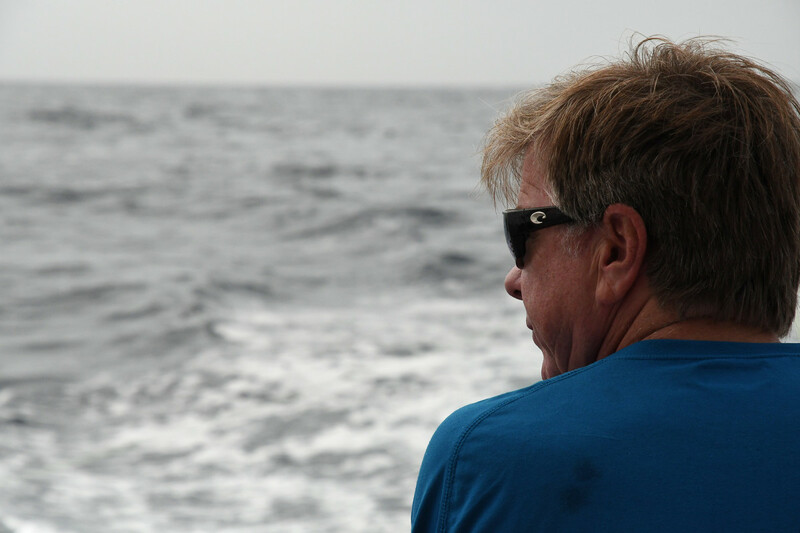 The helm became McDowell’s domain, and he went on to become one of the top billfish captains on the Mid-Atlantic coast. Between tournaments, he delivered new Vikings. In 1985, the team made 20 trips offshore; in 1987, it was 30 and climbing. They were competing in billfish tournaments throughout the Mid-Atlantic states, and Viking was selling more and more fishboats. 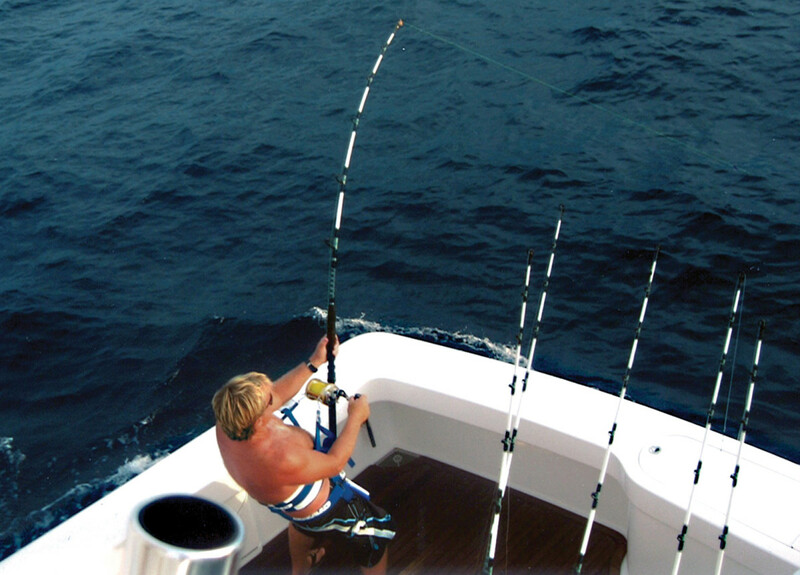 In 1987, Healey and his team won top boat in the White Marlin Open along with weighing-in the second-place blue marlin. They went on to take second at the Big Rock Blue Marlin Tournament in Morehead City, North Carolina, releasing three blue marlin, missing out on first place by minutes, not number of fish caught. Healey’s sons, Justin (left) and Sean, fish hard and are now part of the family business. 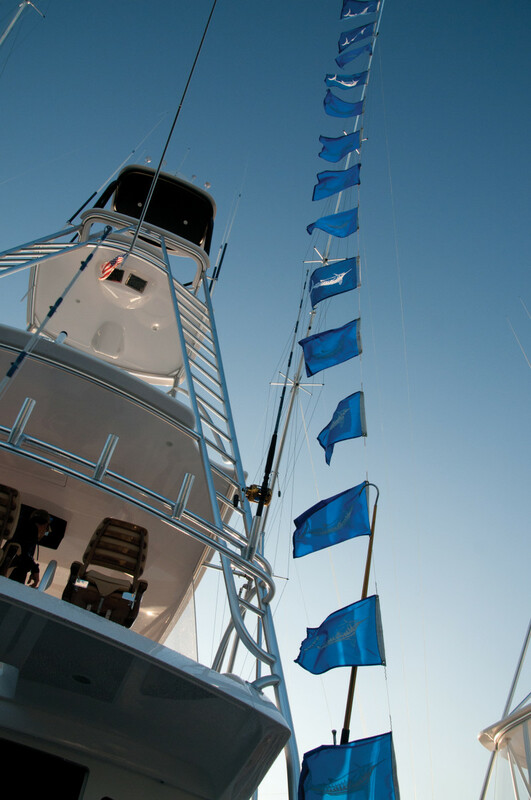 After the luxury tax was repealed, Viking created a host of new models that redefined sportfishing yachts. 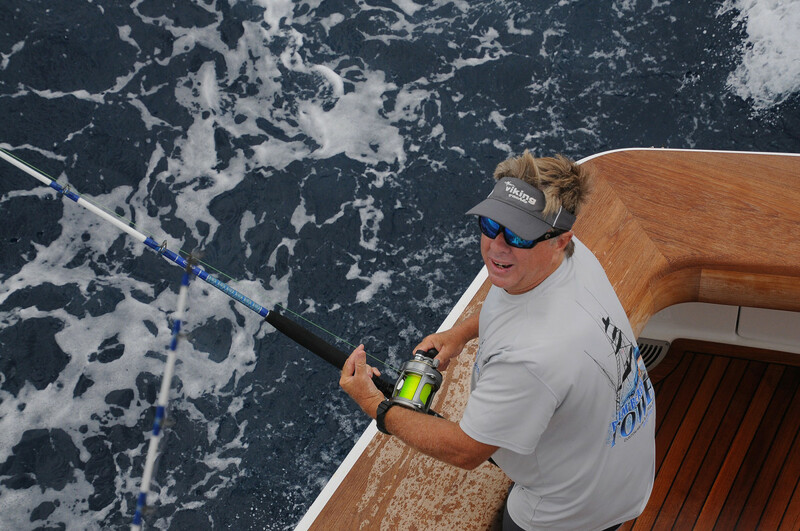 Healey reignited the demo program, which now campaigns two boats on the East Coast, fishing a circuit of tournaments from Cape May to the Florida Keys. They also participate in events on both coasts of Mexico and in Central America. 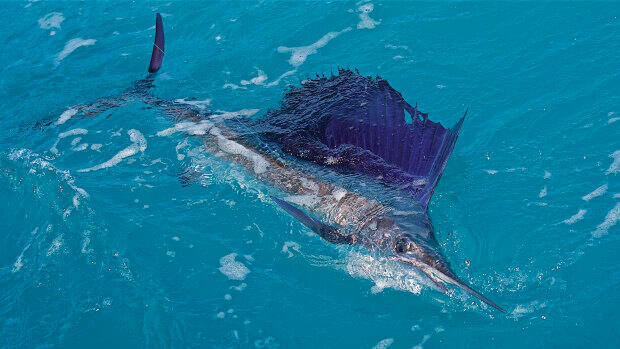 In 1964, John Rybovich came up with the concept for an angler-centric billfish tournament that became known as The Masters. Competing anglers fish a different boat each of the three or four days, and the boats are picked by lottery. It’s one angler to a boat with two rods in the water, and only the angler can touch the rods. 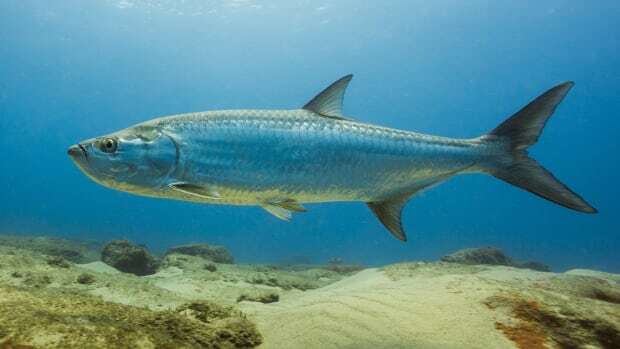 Once a fish is hooked, the angler fights the fish unaided by the boat. No backing down. The captain can only spin the boat to square it to the fish. Healey enjoys all kinds of fishing as long as it’s light tackle and something is pulling drag. And he’s always had a boat. After the 16-foot Thunderbird came a 17-foot Wellcraft with the bottom broken out of it, which was bought from an insurance company. He fixed the 17-footer and fished it after high school, from age 18 into his 20s, when he went to St. Joseph’s University in Philadelphia. 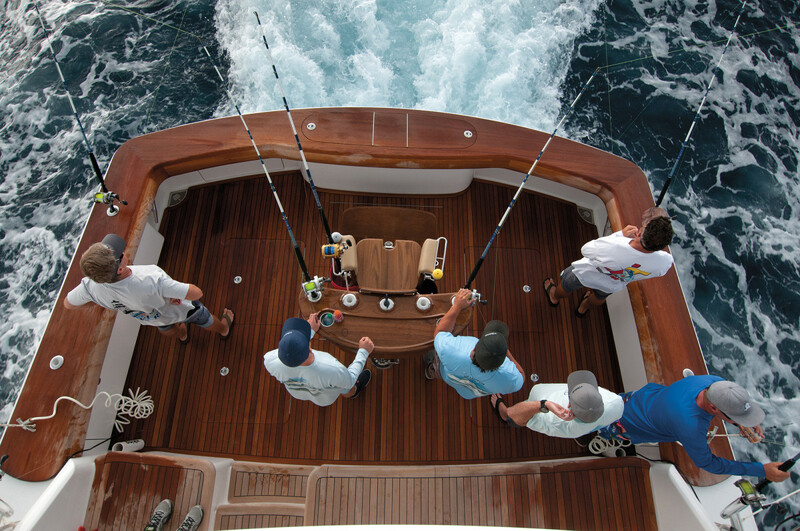 The next boat was a 1998 26-foot Regulator that company owners Joan and Owen Maxwell customized for Healey, adding a teak helm pod with single-lever controls, just like those used aboard a Viking. Then came a 31-foot Jupiter that he upgraded at the company marina and, most recently, a 35-foot Contender center console parked behind his houses in South Jersey in the summer and Florida in the winter. Today, the boys have a 25 Contender bay boat and use it to terrorize the fish in the South Jersey estuaries, when they aren’t on one of the Viking demo boats fishing the billfish circuit. Sean and Justin are recent college graduates and working at Viking, learning the way their father did, spending time at every level of the operation, having started at the bottom sweeping the floors. Like their father, they are full of ideas for new Vikings. And when it comes to fishing, they just can’t get enough. 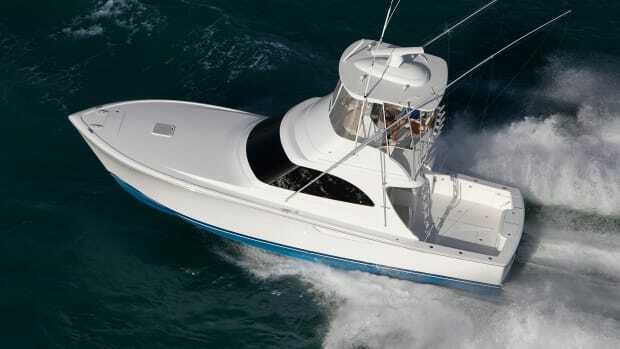 Meet the Viking 38 Billfish: This boat is designed to fish hard in comfort. D’Artagnan would be proud of these musketeers — artists and writers who fished, hunted, drank and cooked from one end of the country to the other, with Key West as a beacon. 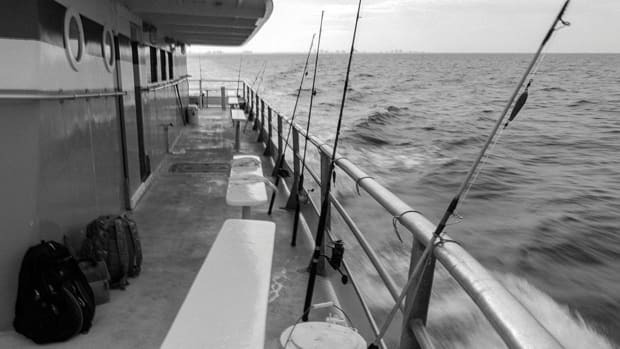 Party-boat fishing is as much about fun as it is fish. Winning the pool is an honor like no other, and the IRS is none the wiser if you don’t report your winnings. 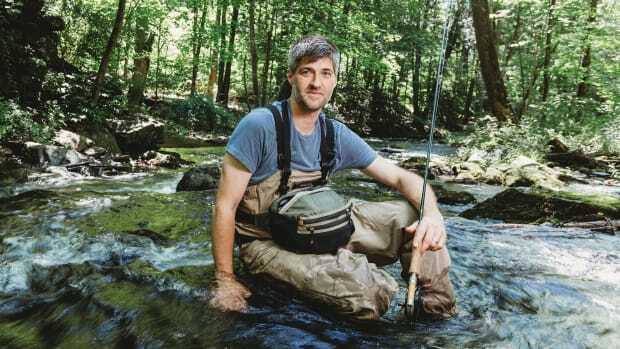 He was known as “Trout Boy” around the Yale University campus as a student, so it’s no surprise that artist James Prosek has crafted a career from pursuing, painting and writing about fish.